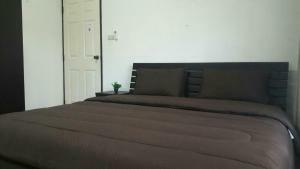 A-HOTEL.com - Luxury and cheap accommodation in Ban Pa Du, Thailand. Prices and hotel, apartment booking in Ban Pa Du and surrounding. Offering a quiet retreat away from the city, Horizon Village & Resort has facilities including a spa, fitness room, 4 pools and small zoo. Guests can enjoy a variety of activities including balloon and horse riding. Surrounded by nature, Is Am O Chiangmai Resort features Thai Lanna-style accommodation with modern facilities. Offering free parking and free WiFi throughout the property, guests can relax in a garden or enjoy on-site recreational activities including cooking classes and cycling. Offering mountain views, Kalaka Homestay in San Sai features accommodation, free bikes and a garden. Free WiFi is provided. Featuring a garden, Bansuan Resort Chiangmai is located in Doi Saket. Free WiFi is provided. home stay chiang mai villa taurino is a self-catering accommodation located in Doi Saket, a 20-minute drive from Chiang Mai's city centre. Free WiFi access is available. Situated in Doi Saket, Flow Yoga CNX House offers free bikes. Free WiFi is available. The Cathay Resort & Spa is a 20-minute drive from the centre of Chiang Mai. It offers air-conditioned rooms and villas with free Wi-Fi and free public parking. Featuring pool views, Taladya Homestay in Ban Mae Ka Talat Luang features accommodation, free bikes, an outdoor swimming pool and a garden. Complimentary WiFi is featured. Ban Thassanee is situated in Doi Saket and has free bikes and a garden. Boasting a shared kitchen, this property also provides guests with a sun terrace. Him Doi House @Doisaket offers cosy accommodation with air conditioning and the convenience of a shared lounge. Other facilities include a tour desk and free Wi-Fi access, which is available throughout. Featuring a hot tub, Baanyuusaran is set in San Sai. It features garden views and free WiFi throughout the property. Featuring a patio with garden views, Villa Si Fa House is a villa, located in San Sai. It provides free private parking. Featuring free bikes and an outdoor swimming pool, Nok resort & hotel is located in Ban Thung Khao Tok. The property has a garden, as well as a terrace. Villa Albizia offers colonial and Lanna style accommodation, located 20 minutes' drive from downtown Chiang Mai and nearby local arts and crafts shops. Guests who wish to escape the busy life of the city will enjoy a beautiful garden with numerous species of birds and flowers, panoramic views of the rice fields and mountains and a 15-meter saltwater infinity pool. Chiang Mai - Cool Stay is situated in San Sai. Guests staying at this apartment have access to a fully equipped kitchenette.